I woke up this morning, halfway listening to the news and I then heard my preacher’s voice. He was being interviewed live at “the slab” of our former church building. I was wondering why in the world is a Birmingham station live in Tuscaloosa. It struck me a little odd that I didn’t instantly think of the date. October 27. 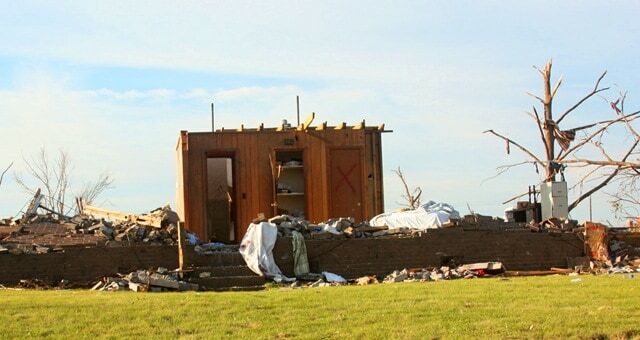 It was only 6 short months ago that our town survived one of the worst tornado outbreaks in history. It was a day that changed me and it’s only been recently that I realized how much. 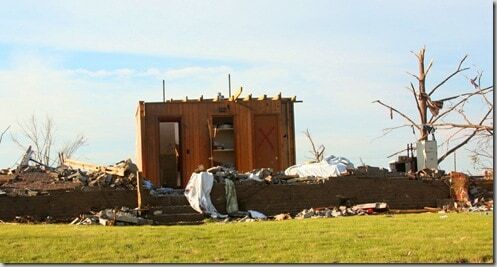 The immediate days and weeks of recovery efforts were some of the hardest things I’ve ever been a part of. I’ve talked about them and I won’t go into more detail. But as time went on, things settled down and we adjusted and I even got used to seeing the parts of town still in devastation. I got used to crying every now and then driving through town. I would get overwhelmed and cry and then be okay because we were recovering. I got used to going to church in a new building that is not our church building, but is our church home for now because that’s where the people are together. And in the last two weeks, there have been some very big changes regarding this disaster. I briefly reported about a NWS town hall meeting in Birmingham that I was asked to participate in. I applied to be a part of the focus group and was accepted. I was hoping to meet my favorite weather man, who was responsible for saving so many lives that day. 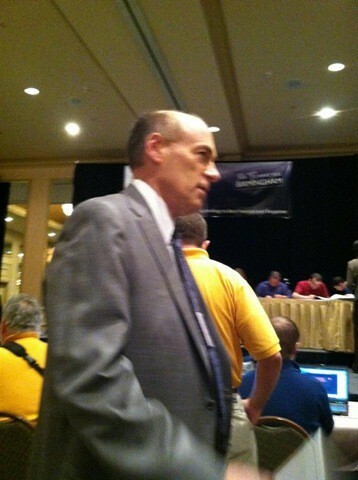 I got to meet the amazing James Spann and shake his hand and tell him how thankful I am for him and his weather team. I was having a great time! I was talking to others, saw Jim Cantore from the Weather Channel, and just excited about the night. But then, I looked up and saw just the opening slide of the presentation. It wasn’t a picture, just words about the weather event of April 27th. I just felt like I was thrown underwater. I couldn’t breathe. I couldn’t get a breath out or in. I was just frozen with tears streaming down my face, struggling to breathe. I recognized the signs of a panic attack and I’m not very familiar with them. I managed to breathe through the frozen fear and keep from doing what I really wanted—scream and run. I got myself together and made it through the rest of the 4 hour presentation and questions/answers. The information gathered from the focus group will be used in a research project about the public and weather. Four days later, we had our big unveiling of the new church plans and timeline. We were sitting in the bay area of the fire college, with the lingering smell of smoke that we all have grown to appreciate, and they played a video of pictures. Some were mine. Every one of them I had already seen. Nothing new. But the same thing happened. Sheer panic. I wasn’t expecting to have such a reaction. And I don’t understand how some days, I can drive through town and not get so upset. I can see videos and not get upset. And when I’m least expecting it, I get blindsided. I’m taken back to those first few days of overwhelming emotions seeing and helping the people of our town deal with hell on earth. I’m back in the fear, the anxiety of a town under military watch, the sounds of the people. The smells. And I can’t get away from it. But, I will get better. Time does heal and so will our town. I’m reminded every home game day when new visitors explore the new Tuscaloosa. I see tears and sadness, but I hear resolve and fight and determination to keep moving forward. And so will I.